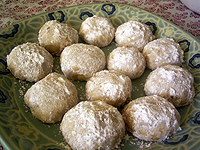 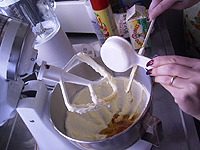 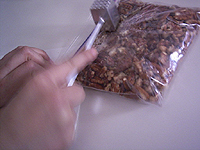 Cream 1 cup soft butter, 2 teaspoon os vanilla, 1 & 1/2 cup of chopped walnuts or pecans, 1/4 cup of honey until mixed. 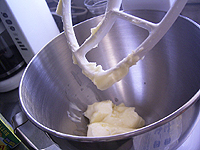 Stir in 2 cups of flour and a dash of salt. 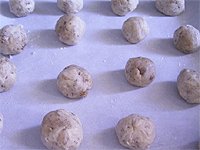 Chill dough for 10 minutes and form into balls and bake on a greased cookie sheet for 40 minutes. 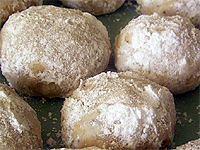 Roll in powdered sugar while still hot and roll again after the cookies have cooloed.